My friend brought by some flax seed crackers for me to try and I was instantly smitten. Her’s were a straight flax seed cracker, but it got me thinking about the wonderful potential for this amazing potato chip alternative. Based on the seasonings you add, you can tailor them any topping you have on hand (hummus, goat cheese, salsa, dip) or eat them just as they are. Thanks to the wonderful generosity of Pantry Paratus and Excalibur, I became a proud owner of a 5 Tray Excalibur with Clear Door & Timer. You guys! It’s amazing! How I ever survived with my car dashboard and oven before this I’ll never know. With this baby sitting on the counter I was on a mission to come up with an amazing flax seed cracker recipe. 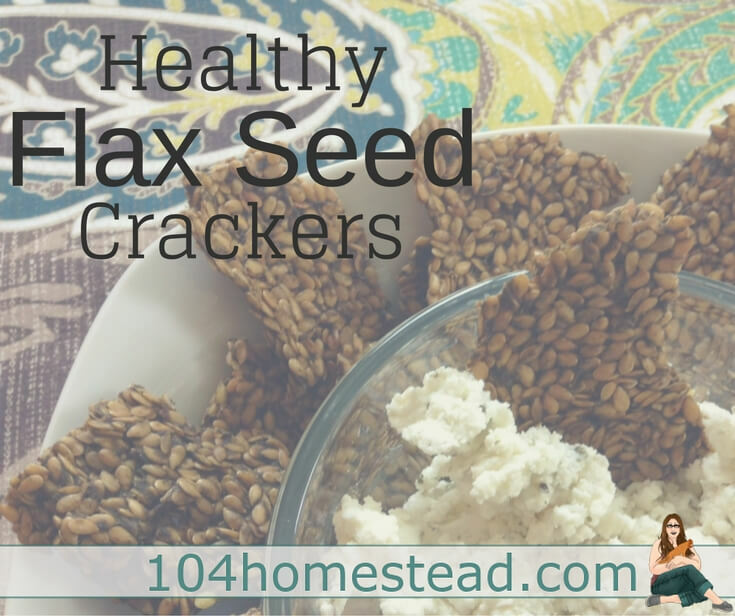 Flax seed is an odd thing that raw foodies love. When you add water to flax seed it creates a gelatinous goo. I know, it may not sound appealing, but think of it as an egg substitute. That’s what it resembles. Egg whites. It binds all the goodies together, which in this case is the seeds and the spices. 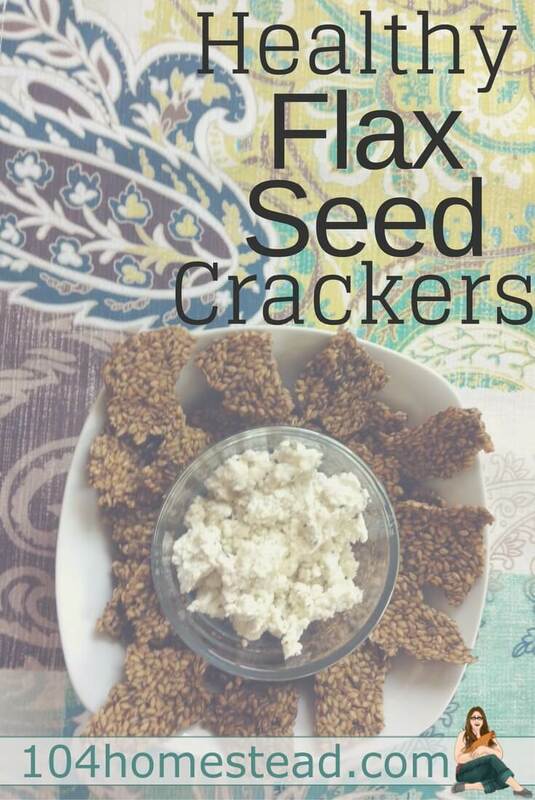 Because of the natural binding materials, flax seed crackers are super simple to make. Just mix, let it sit, spread, score, and dehydrate. Preserve it Naturally has some wonderful recipes for all sorts of crackers as well as anything else you might think of dehydrating. Pantry Paratus has a great article worth reading called Flax Seeds: Uses, Benefits, and Risks (yes, risks!). For these crackers, we are using 1 clove of chopped garlic, and 3 teaspoons each of poppy seeds, sesame seeds, onion flakes, garlic salt, and sea salt. This blend is similar to an Everything bagel (which was my inspiration). Mix together 3/4 cup flax seed (I like golden because just because of the lighter color, but my husband prefers brown), 1/2 cup chia seeds, 1 cup of water, and your seasonings. Let the mixture sit for about 10-15 minutes, until the mix starts to go clumpy, but not too thick. Spread your mixture on parchment paper or a ParaFlexx™ sheet as thin as you can without creating holes. If you like uniform crackers, you can score them before putting them into the dehydrator. I personally just break them apart when they are done drying. Dehydrate at 105ºF for 8 hours or until dry. I like to flip mine at around 5 hours and if I find the center isn’t drying quickly enough, I snap off the edges allowing the center to dry faster. Get the Printer-Friendly Version of this recipe. Who wants to win something? I was telling my friend Chaya, owner of Pantry Paratus, how excited I was about these flax seed crackers and she wanted to share in my excitement. She has generously offered to host a giveaway for the readers of The 104 Homestead with two winners. 2nd Place wins 1lb of Chaya’s favorite spice blend for crackers which contains onion, parsley, basil, lemon peel, thyme, garlic, celery, red bell pepper, citric acid, and freeze-dried whole lemon powder. To be entered to win, just fill out the entry form below. 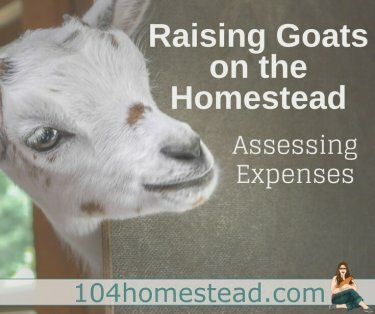 You’ll want to subscribe to my Homestead Helper for weekly(ish) homesteading tips, as well as Pantry Paratus’s newsletter for some yummy pantry-inspired recipes. on any order of $30 or more using code 104homesteadharvest between now and September 11th. I have read in several places that flax seeds cannot be digested by humans because of the hard outer shell. If eaten whole, they just pass through the system without nutritional benefits. They must be ground into meal to be utilized by humans. If you just like them for the crunch, that’s fine, as long as you know that only the ones you crunch up into bits will be utilized. Hello, awesome idea and I can’t wait to make a batch for our Nigerian Dwarfs! Thank you! Question, I only have about a pound of flax seeds on hand right now, could I only use flax seed & add spices to start or it a must for the chia seeds also? I caution you to only use flax seed and no chia seeds for goats. I haven’t found enough information about the safety of chia for them.